On a scale of one to ten, how busy would you say your life is? How much time do you spend in class, at work, in meaningless meetings? How much time in your life is spent dedicated to to others? Working in cubicles, building someone else’s dream? Supporting someone else’s brand? Building someone else’s business? Our lives are over run with helping others. This is both a good and bad thing. We must give ourselves and talents to the world in order to make it a better place. This is innately true of all of us and is why we spend (or should be spending) most of our days being selfless, offering our brainpower to organizations we care about or building enterprises that could change the world. With endless Google alerts and calendar reminders, our days get wrapped up in routine, often diminishing our passions and the reasons that define what we do. We forget about ourselves, often lose ourselves in the routine of life. We forget to give time to ourselves. This is why always giving ourselves away can be a bad thing. If there is no balance in your own life — if you feel like your days are pretty much defined by you waking up, showering, heading to work, working, going home, eating dinner, sleeping and doing it all over again — then you’re living life all wrong. People do not dedicate enough time to themselves each day. Perhaps, because they can’t leave work until the work is done and are trapped in the exploitative career-progressive model of salaried pay. That’s why you need to find time to meditate. Each and every day. Meditation, prayer, or simply “me” time. Whatever you want to call it. You need to take at least five minutes out of your day to just be still and let go of the outside stressors of the world. 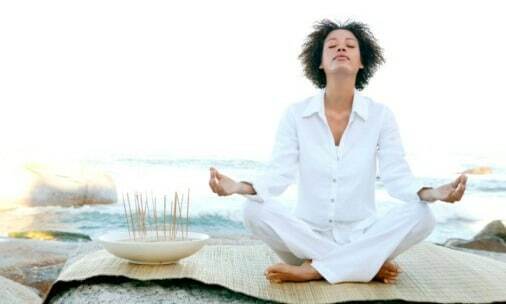 Meditation allows you time to balance your mind and will help you work more effectively. It allows you time to center yourself and refocus when you get groggy. And when you get caught up with all the “business” of your day, it helps you resettle and recognize that the among the people and things that truly matter in life — the most important is you. You don’t have to jump on top of your desk in the middle of a seminar and start humming. (Although it’s not a bad form to try). Simply attempt to center all of your thoughts and think of nothing for five minutes. Close your eyes, imagine a blank wall or peaceful image and let your mind drift. This helps loosen stiff muscles that often tense up during the day due to stress. It is important to learn to discipline your mind — not meditating or allowing time to simply “be” for yourself can create inadvertent tension in other relationships. If you can’t find time alone, consider singing some light-hearted soft songs or writing a poetry or doodling on a notepad. Remember to stay away from any thoughts that bring in negative energy. Meditation is a time to be stress free. When we do not make the time to meditate our minds do it for us by zoning out in a meeting or by causing us to stare off into space (yep, that’s that feeling you get when it’s 3 p.m. and your boss sounds like a teacher from Charlie Brown). Our body knows when we need to chill out but it won’t do so until it has taken all it can handle. Prevent stress overload by reentering yourself as often as needed (we suggest three times a day – morning, afternoon, and night).